Nigerians have continued to lament what most of them describe as the ‘lingering’ challenges they face in getting the Premium Motor Spirit (PMS), popularly known as petrol. 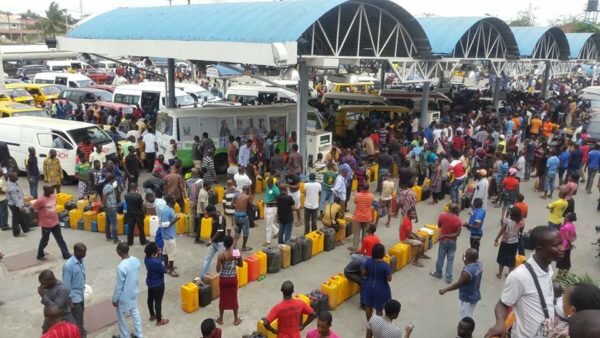 The Issue of fuel scarcity has been the major discourse in the country as the people go through untold hardships to get the product amid the yuletide celebrations. This has, however, generated blames from the critics of President Muhammadu Buhari while the Presidency has assured Nigerians that the issue would be resolved as soon as possible. Following the reports that the Nigerian National Petroleum Corporation (NNPC) has begun distribution of the product, the Presidency created a Twitter hashtag on Tuesday to monitor the situation across the country. In their various briefs, some citizens said the product is still not available in their location while others alleged that oil marketers in their locality were selling above government approved pump price.